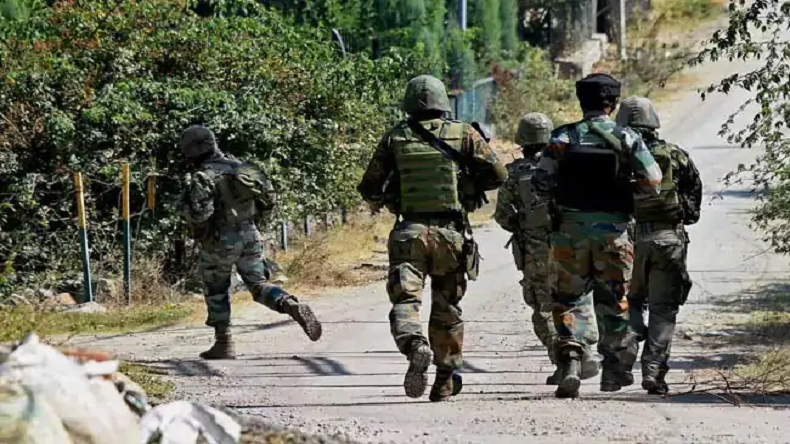 Jammu and Kashmir: Terrorists lob grenade on National Conference leader Ashraf Bhat's house in Tral area: The grenade exploded outside Bhat's house. No injuries or casualties have been reported so far. At the time of the attack, a number of NC workers and activists had assembled for a poll meeting. National Conference (NC) leader Mohd Ashraf Bhat was escaped unhurt after terrorists lobbed grenade on his house in Pulwama’s Tral area. The grenade exploded outside Bhat’s house. No injuries or casualties have been reported so far. At the time of the attack, a number of NC workers and activists had assembled for a poll meeting. The party’s Anantnag Parliamentary seat candidate Hasnain Masoodi was addressing workers when the grenade was hurled. As per reports, NC leader Ashraf Bhat was addressing party workers inside the house when suspected terrorists hurled grenade on the convention. However, the grenade exploded outside the house and left no one injured. Following the attack, police has cordoned off the area and the search is on to nab the attackers. However, Bhat’s residence has been targeted several times. In July 2018, terrorists attacked Bhat’s residence, leaving a CRPF jawan injured. Bhat is the son of former National Conference MLA Mohammad Subhan Bhat. Mohd Ashraf Bhat is one of the senior members of the National Conference. Being a prominent figure in a terrorist prone area, Bhat has survived several attacks since his joining into the mainstream. In 2017, Terrorists attacked senior PDP leader Naeem Akhtar in Tral area. The attack left two civilians dead and injured six persons when terrorists hurled grenade on the then minister for public works cavalcade. Tral has been in the thick of things as far as militancy-related incidents are concerned. Tral emerged on the radar of security forces immediately after the killing of poster boy of Hizb-ul-Mujahideen Burhan Wani in July 2016.The militant commander hailed from Tral area. After his death, Kashmir witnessed a three-month long strike in which more than 120 people were killed. Over the last more than three years, this south Kashmir area has emerged as a hub new age militancy as this year scores of militants, mostly locals, were killed by the security forces in the apple-rich area.